It’s that time of year again when everyone is starting to think about turkey and tinsel, but if you are a business owner, you might find yourself stressed out about how to grow your business in 2019. With so many options for marketing and advertising, how can you know where to invest your money and which efforts will yield the best results? Video marketing quickly became the medium of choice for a lot of business owners, but some are still not sure exactly how to improve their efforts. If you are trying to figure out what 2019 looks like for your business, consider investing money to enhance your video marketing efforts. To get you started, we’ve put together five ways you enhance your video marketing efforts so you get the most out of them! The beauty of video is that it allows you to tell your audience a story. 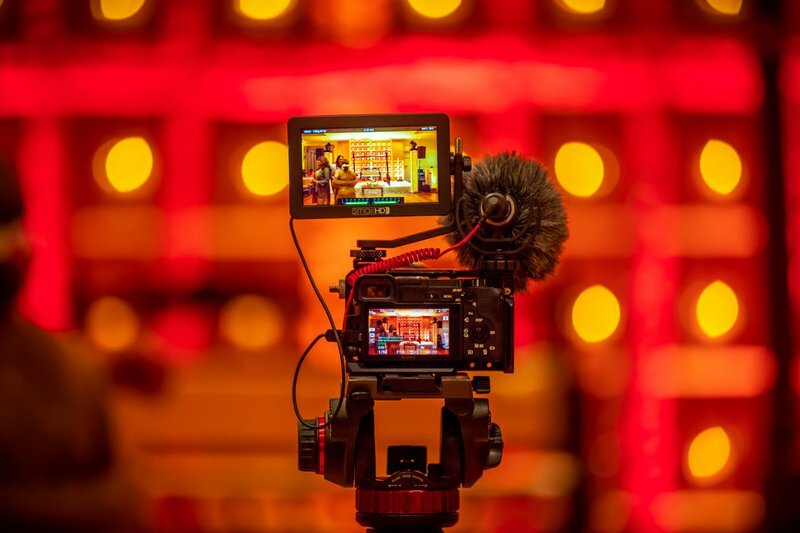 Whether you want to tell the story of your brand, your early beginnings, or you want to showcase successful client projects, video marketing is a great way to connect with your audience in a way that makes a lasting impact. Did you know that people retain more information when they see a video than when they read the text? In fact, about 65% of the population learns more effectively by watching videos or seeing pictures than they do by reading or engaging with content in another way. No wonder people devourer video content. To maximize your video marketing efforts, be sure to incorporate transcripts of the conversation or words in the video so that those who prefer to read (or watch those videos in the bathroom on mute) can do so without skipping a beat. One of the beautiful things about storytelling is that it allows your business to share the ups and downs of your company in a really authentic way. What’s interesting about authentic businesses is that they all seem to have the same values: transparency, clarity, community, integrity, and honest, just to name a few. So many businesses try to portray an image of perfection, but consumers want to know the men and women behind the social media posts or blogs. They want to know who is taking the shots and maybe missing a few baskets along the way. Video marketing allows you to showcase your best and worst moments in a way that brings you closer to your audience. When you win, they win; when you fail, they feel for that failure. It makes the world a smaller place. Perhaps you resist video marketing because you don’t understand how to go about getting started, or you worry about the message you might send. Some of the best advice we can give is to encourage you to try it on for size before you judge it. You might find that you enjoy coming up with video ideas and sharing your content with your audience. If committing to weekly videos seems like too much, start on a smaller scale: record and post a video once a month. Maybe it’s your newsletter: share a video instead of a blog. There are a lot of ways you can incorporate video into your marketing efforts, but consistency is one of the best ways to enhance those efforts. It’s your job to teach your audience what they can expect from you, but if they never know when you’ll release another video, they’ll lose interest. Make a point of sharing your video marketing efforts with your network and commit to publishing on a regular schedule. Every business owner would love it if the entire world were their customer, but of course, that’s not realistic, nor is it possible. Instead of blindly creating video content and sharing it with your networking, get to know your audience in a more robust way. Send out a survey asking them what they’d like to see more of, less of, or what they’d like to take a deeper dive into the next time you share something with them. When you understand your audience, you can create content that speaks directly to them. It helps to have a specific customer in mind sometimes – speak to that person, to their problems, and using video, show them why you are the best person to solve their problems. With so much garbage being published on a regular basis, it’s important to ask yourself whether or not adding more content to the mix is a productive use of your time. If you are just publishing what everyone else in your industry is publishing, then no, that is not a productive use of your time. If however, you are showing up and providing real value to your customers, you’ll stand out from the crowd. Because a lot of business owners are still not getting on board with video content marketing, it might be your chance to stand out in your industry. Sure, it seems like everyone has a Youtube channel these days, but that’s not true. There’s lots of room for you to add your two cents into the mix in a meaningful way. If you need help creating a video marketing strategy that will help you stand out in your industry, the professionals at True Film Production can help. We are a visual storytelling company that helps to break down barriers for clients who want to share their messages through the use of video. Let’s talk about how we can enhance your video marketing efforts today.